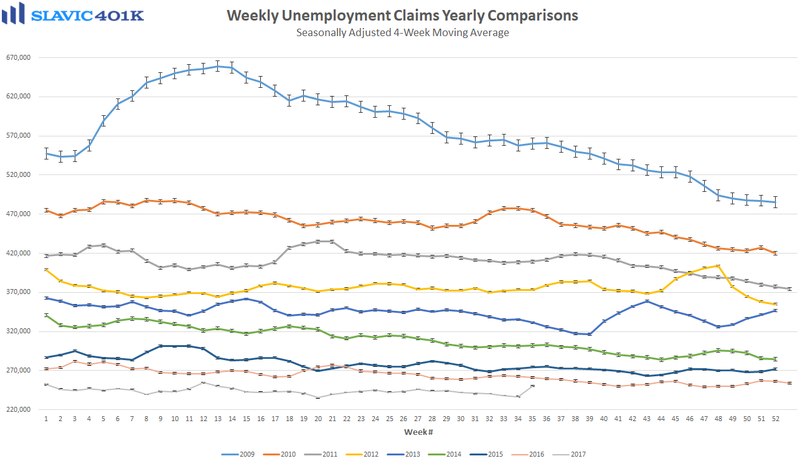 A new report from the Bureau of Labor Statistics (BLS) showed that first-time claims for unemployment benefits jumped last week by 62K to 298K. That was the highest reading since April 2015 and the largest weekly increase in half a decade. Most of the gain, though, occurred in Texas where jobless claims surged by 52K due to hurricane Harvey. 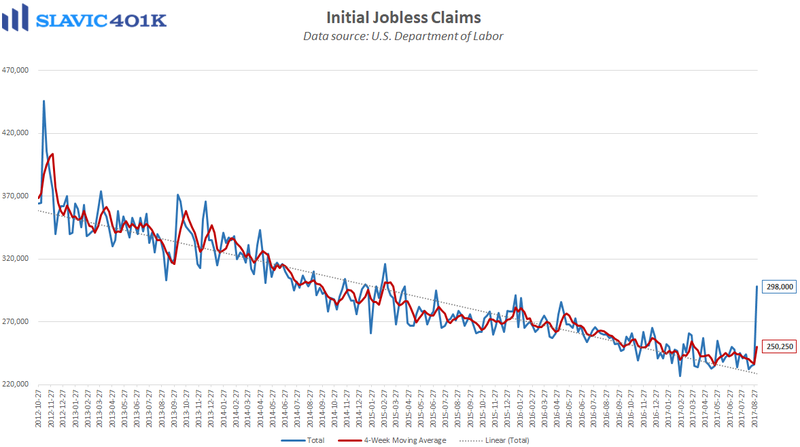 The destruction caused by the storm should keep initial jobless claims elevated in the near-term, and the same could be expected in Florida and other parts of the east coast after hurricane Irma makes landfall. 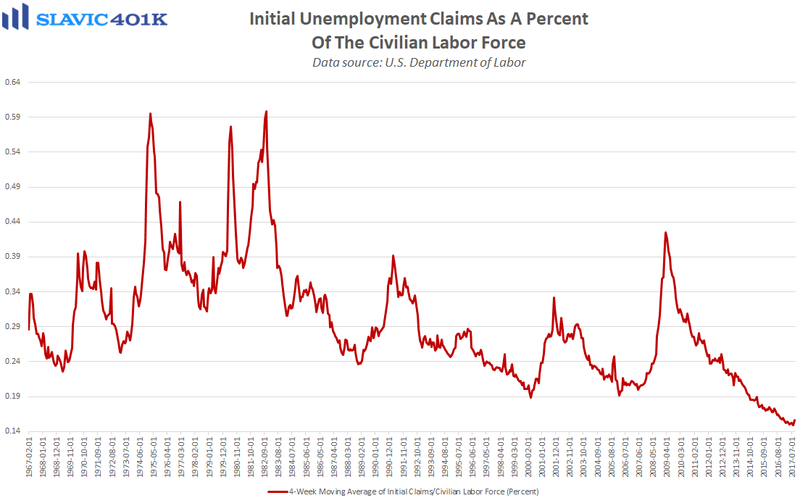 However, prior to Harvey recent claims figures have been consistent with an overall healthy labor market and a shortage of skilled workers that is making companies hesitant to let employees go. 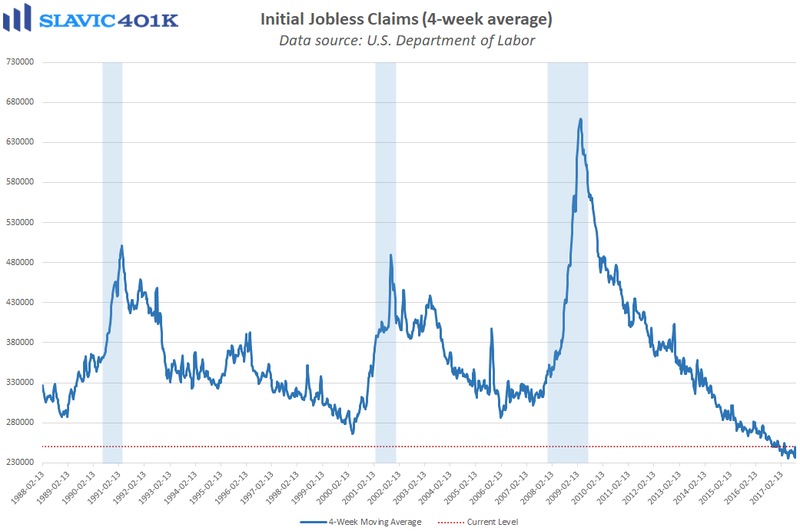 Moreover, even after this latest spike initial jobless claims have still managed to hold below 300K for 131 weeks in a row, one of the longest streaks in U.S. history.